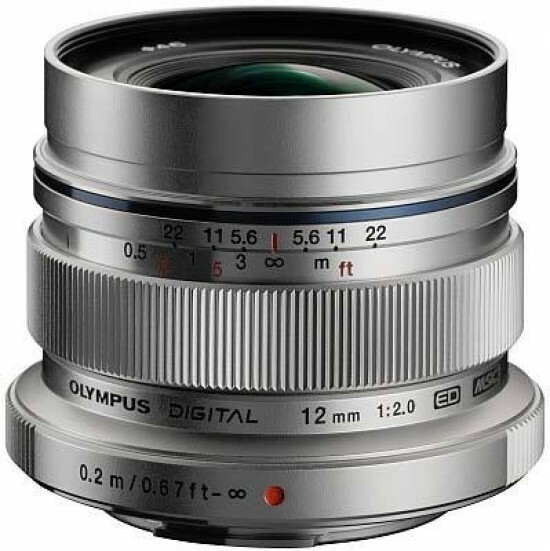 The beautifully crafted, all-metal Olympus M.Zuiko Digital ED 12mm f/2 is a strong performer in the optical department, offering an attractive combination of edge-to-edge sharpness and fast aperture speeds. Peak performance is achieved in the f/4-f/8 range, but the f/2.8 and f11 settings also produce very sharp results. In low-light situations, I would not hesitate using f2 either, as the lens is commendably sharp wide open and the use of a fast aperture will save you from having to crank up the ISO sensitivity to the point where your camera's sensor starts to get too noisy. In some cases, shooting at f/2 will also allow you to separate your subject from the background, although the relatively small diameter of the exit pupil means that you will need to focus rather close to achieve a shallow depth of field. When you manage to do so, the lens offers a quite pleasing bokeh. All is not rosy though, as the lens suffers from considerable light loss in the corners at f/2, as well as some purple fringing along contrasty edges near the borders of the frame, plus a disappointing amount of barrel distortion. And while these issues can be addressed in post-processing – what's more, the distortion is corrected in-camera so you won't even notice it unless you use certain third-party raw converters –, the Olympus 12mm f2 also has some problems with flare, despite its much touted “enhanced multi-layer coating”. This can probably be avoided by using the dedicated LH-48 lens hood – but it's an optional accessory that will set you back another $90 or so on top of the price of the lens itself. In terms of its overall aesthetics, craftsmanship and mechanical quality, the M.Zuiko Digital ED 12mm f/2 is a jewel of a lens that's a pleasure to look at and a joy to use. The “Snapshot Focus mechanism” is a useful and well-implemented feature that works really well and makes zone focusing easy. This is good news for all the street photographers amongst you, who haven't exactly been spoiled for choice in this age of modern lenses that seldom feature a distance scale let alone a usable depth-of-field scale. While I have personally found this lens to be a little too wide for my particular style of street photography, I'm sure there are many fellow photographers out there for whom the angle of view of the 12mm M.Zuiko will be just right. Additionally, the lens is an excellent choice for landscapes, architecture and interiors too; as long as you make sure its distortion is taken care of, either in-camera or at the raw conversion stage.